Brightly coloured sea anemones in an aquarium. 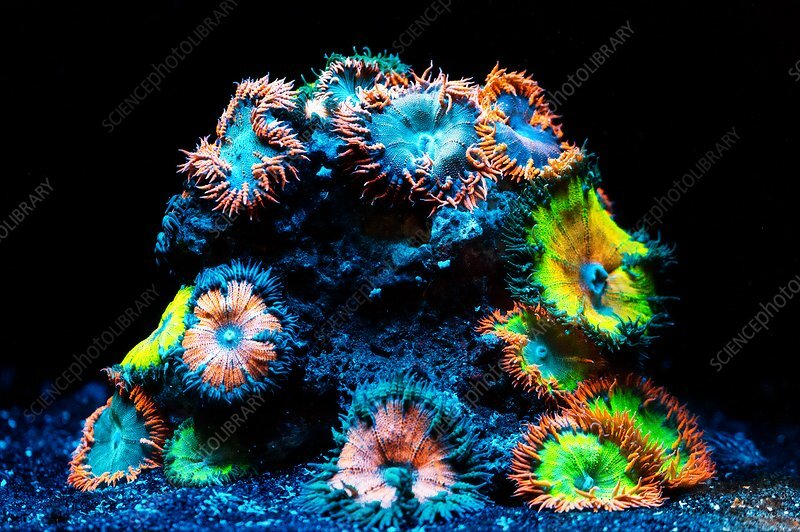 Sea anemones are a group of water-dwelling, predatory animals of the order Actiniaria. They are named for the anemone, a terrestrial flower.